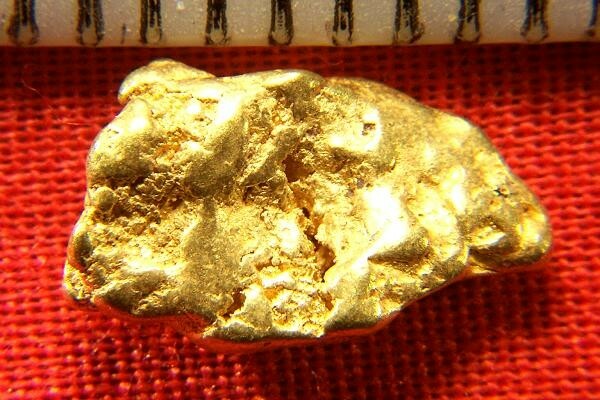 I love gold nuggets from California. Naturally polished by the river brings a wealth of texture and a rich color. You can see why these nuggets are prized by jewelers and collectors. The weight of this one is 27.8 Grains (1.8 Grams) and it is 1/2" (12 mm) long. 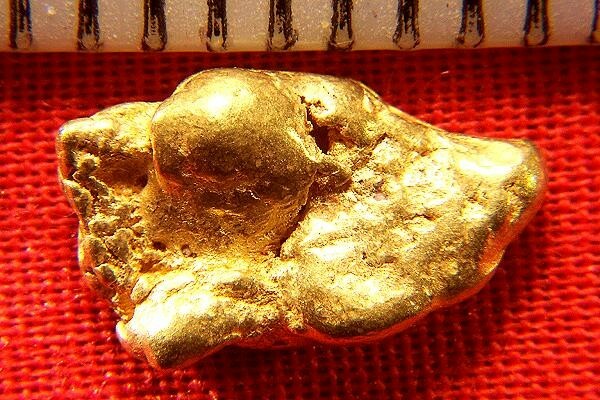 Get some California gold nuggets while you still have the chance. Due to the banning of suction dredging in California in 2009 the amount of gold nuggets recovered has plummeted and they are very hard to find any for sale.